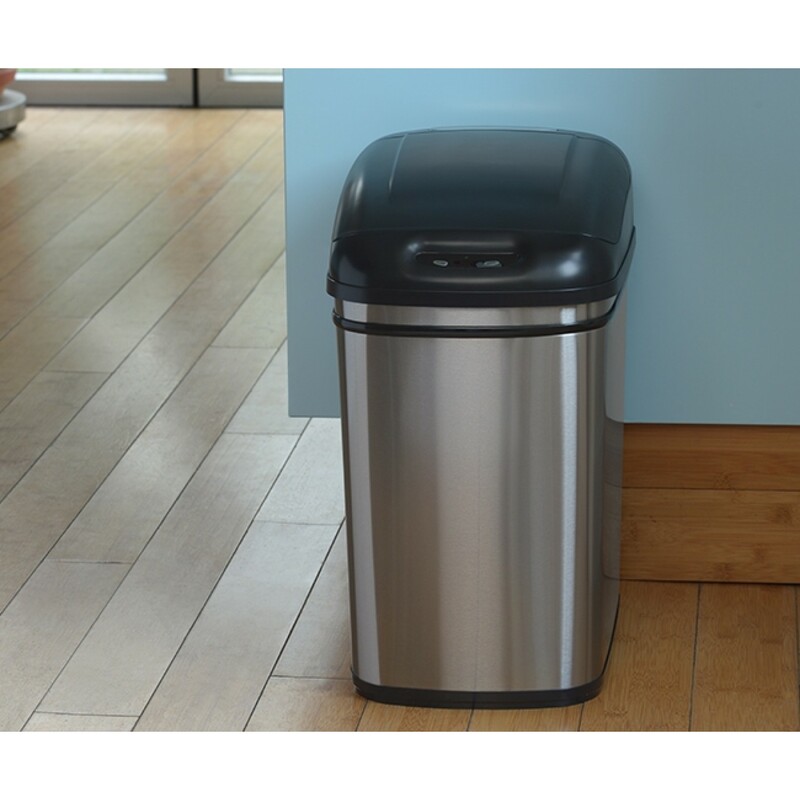 Our 32L slim rectangular kitchen bins infrared motion activated sensor bin is ideal for small households and offices. Our unique Slimline tapered design means it not only looks fabulous but also ensures that bin liners never get stuck regardless of how full your bin is. Sensor bins reduce cross-contamination, made from premium stainless brushed steel, so say goodbye to fingerprints and sticky messes. 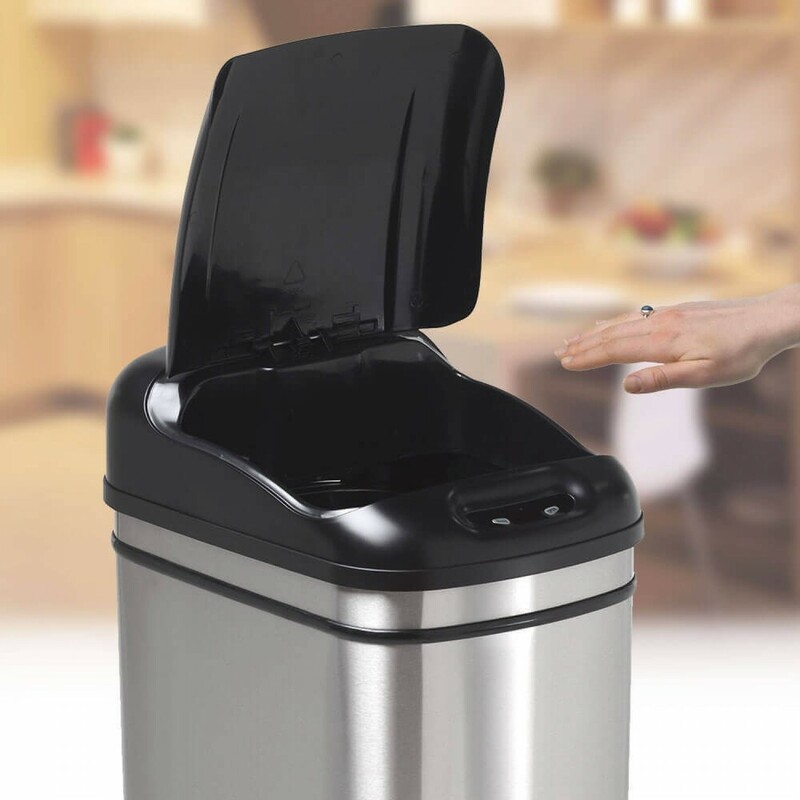 Made from the very best high-quality, premium grade stainless steel and equipped with the very latest in technology and innovation, the 32-liter capacity slim rectangular kitchen bins are so much more than the average bin. In our classic original shape, these slim rectangular kitchen bins are fitted with our innovative infra-red sensor that detects the movement of the user’s hand and opens up without even the touch of a button. When the bin opens, there is even more intelligent design that is geared toward making your life easier. A unique bag-retaining ring secures and holds the bin liner in place so that not only does the bin open touch-free; it also holds the liner securely so that you don’t have to wrestle with fixing it every time you use the bin. There are no messy ends sticking out from the bin and no slips spill or split to contend with. 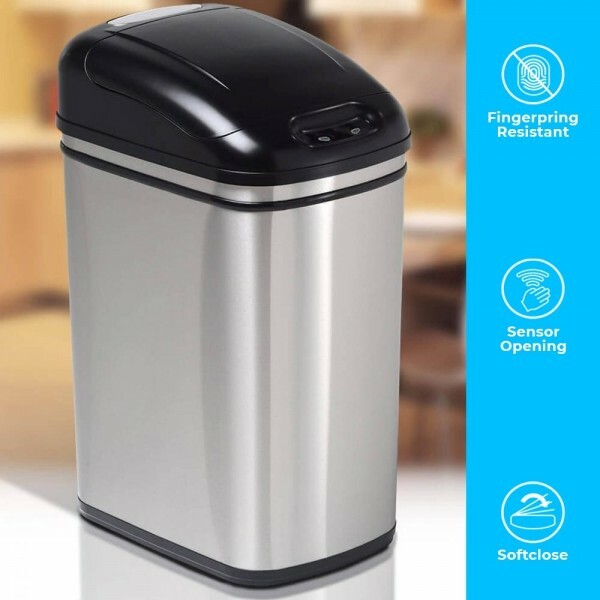 The bin closes automatically after 3 seconds, and if you want it to stay open for longer, a clean-touch button allows you to control exactly when you want it to close. The benefits of the 32-liter bin don’t end there. Not only is it easy to use thanks to the sensor which opens the bin, it is also well constructed out of the very best materials. 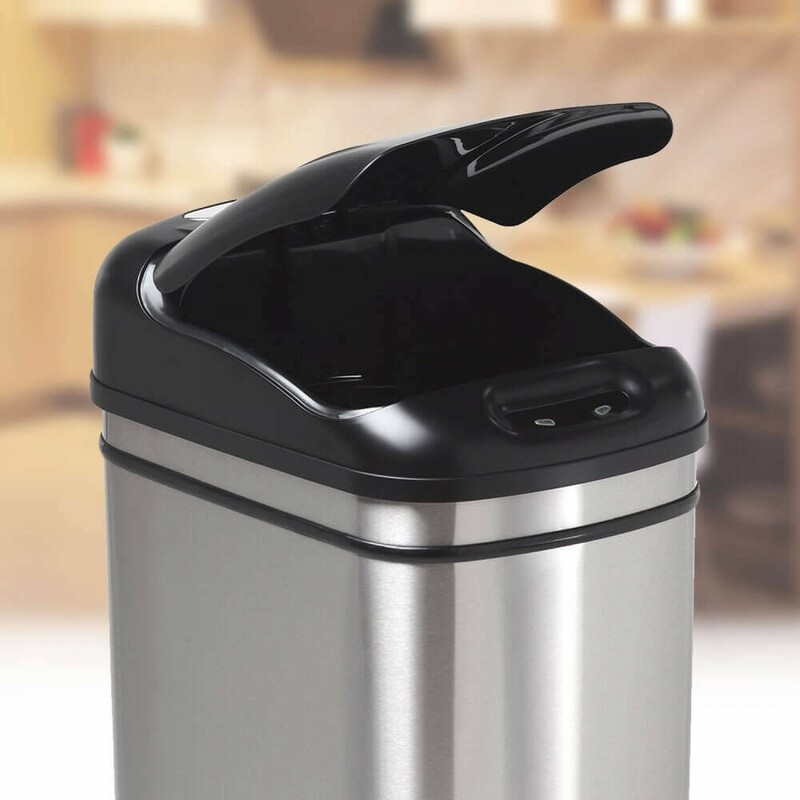 The body of the bin is premium grade stainless steel, brushed to a fine finish and complemented by streamlined lines and clean edges which together give the bin a modern, stylish look that is unobtrusive and complimentary to any style of setting. An automatic sensor-operated bin can be a fantastically useful and hygienic addition to a range of different settings. The 32 litre Nappy Bin has been used all over homes from the kitchen or utility room to the study or bathroom as a nappy bin as well as in the workplace. It is ideal for situations where hygiene is essential. When it comes to bins for health-care practitioners such as doctors’ surgeries, veterinary practices, dental surgeries and hospitals, the automatic sensor bin is an excellent choice in terms of preventing cross-contamination. 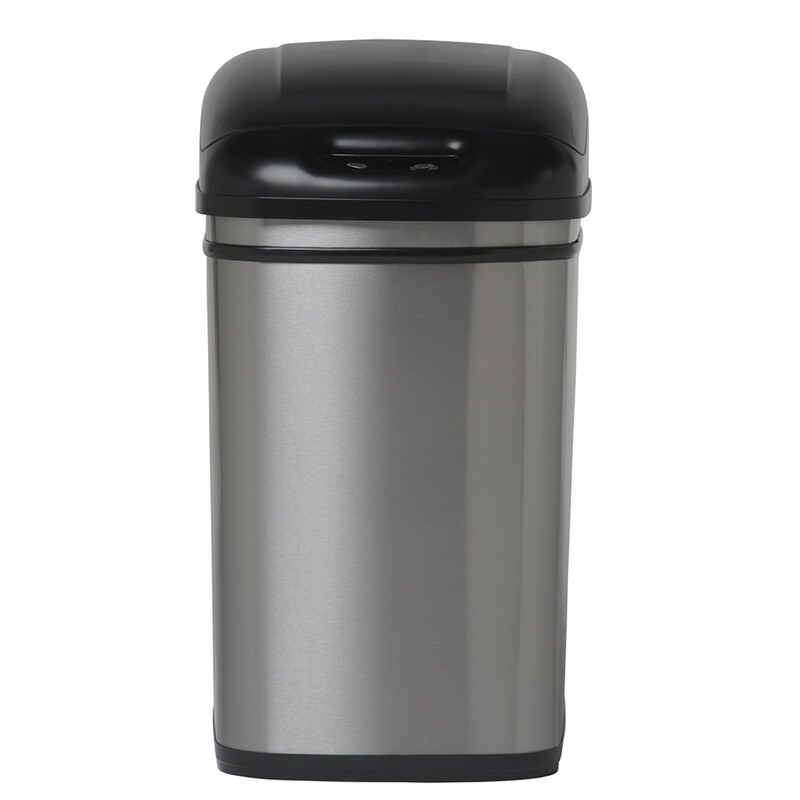 Bins that can be used by the less abled are hard to find, and the 32 litre original autobin is a great choice. The automatic opening makes it easy to use, and it is a very manageable size. We are constantly receiving information from users of the autobin in all kinds of contexts – where will you put yours?